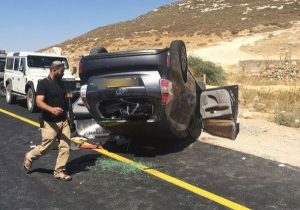 Two Palestinians stopped to help wounded Israelis who were ambushed near Hebron in the West Bank on July 1st 2016. One of the Palestinians has since lost his job, and been the target of hate and abuse by fellow Palestinians. His story is covered in a report by NPR’s All Things Considered.